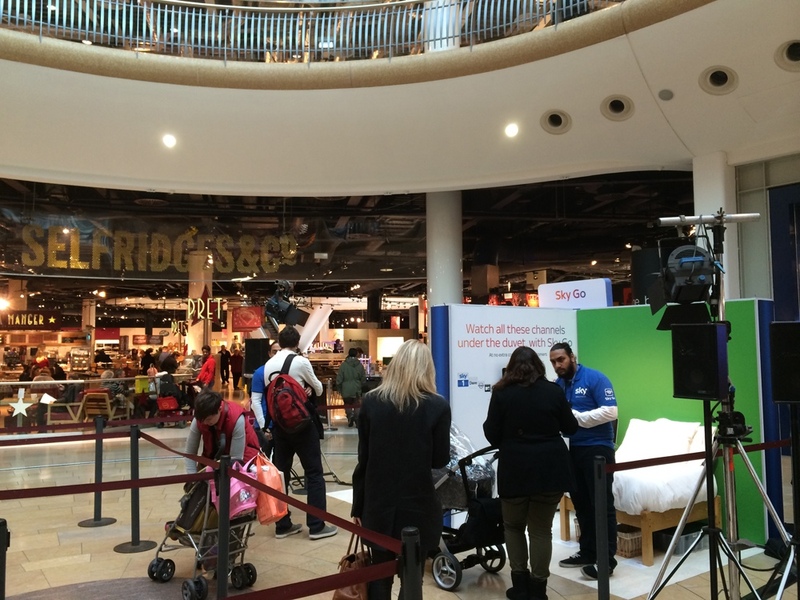 Cloud One provided a sound & lighting package for a SkyGo product launch in the heart of the Birmingham’s Bullring shopping centre where the public were encouraged to have their photo taken in front of a green screen mock up of a bathroom and bedroom. 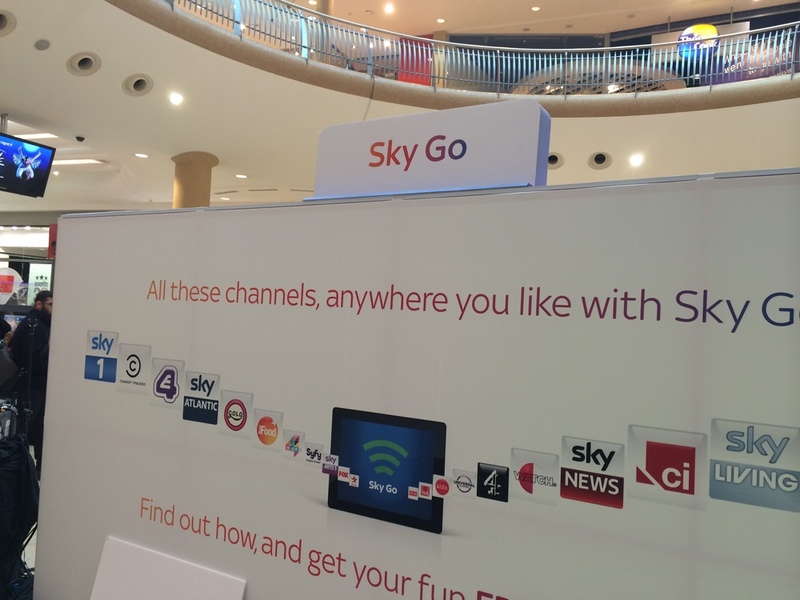 The exhibition was set up to demonstrate the flexibility of Sky’s new wireless system for tablets and smart phones, that allows customers to watch their favourite sky TV packages throughout their home. 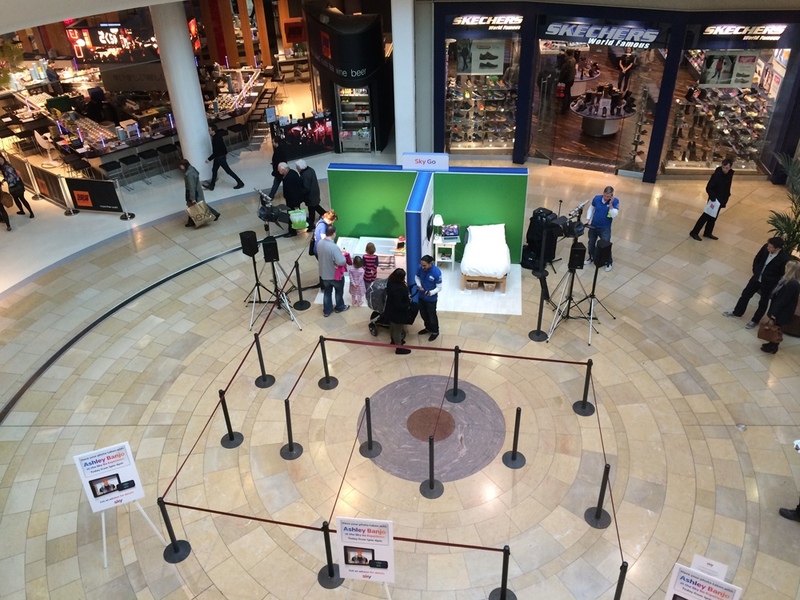 The event also featured a special appearance from dance group Diverity’s Ashley Banjo who entertained the crowds …..